University of Wisconsin, Madison, B.A. Debra is a partner in the firm's State & Local Tax Practice. She is widely recognized for her experience in state and local taxation. Debra works with a variety of clients to address the state and local tax impact of their multistate activities from both a planning and an audit and controversy viewpoint and on complex transactions, with a focus on New York State tax matters. Debra counsels clients with respect to corporate income and franchise taxes, bank taxes, utility taxes, unincorporated business taxes, sales and use taxes, gross receipts taxes, excise taxes on real property transfers, rent and occupancy taxes, and withholding taxes. She also has extensive experience working with high-net-worth clients on residence and other personal income tax matters and successfully representing clients in all phases of tax disputes, including audits and litigation at the federal, state, and local levels, as well as criminal tax investigations. Debra’s clients have included domestic and global financial service companies, law firms, real estate investment trusts and cooperatives, manufacturers, retailers, energy companies, airlines, entertainers, high-net-worth individuals, and tax-exempt organizations. Debra served as the chair of the State and Local Tax Committee of the New York City Bar Association. She is also a nationally recognized author on state tax topics. She co-authored the BNA Portfolio “New York Sales and Use Taxes” and a bi-monthly article on New York State and New York City taxation in the New York Law Journal and writes a monthly column in the Journal of Multistate Taxation and Incentives on state and local tax matters before the U.S. Supreme Court. Debra is a frequent speaker on state and local tax issues and has appeared before such groups as Tax Executives Institute, the Institute for Professionals in Taxation, the American Bar Association, the New York State Bar Association, the New York City Bar Association, and the New York State and New Jersey Societies of Certified Public Accountants. 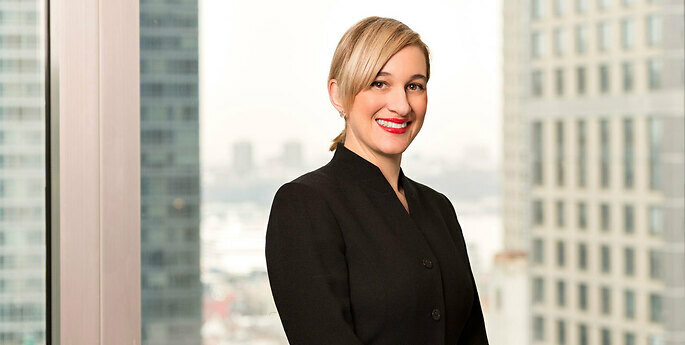 She has 20 years experience representing clients in state tax audits and New York State and New York City tax litigation, obtaining federal and state rulings and advisory opinions, providing tax opinion letters, and assisting with voluntary disclosures and collection matters. Debra has worked with many clients on issues of nexus, combination, sourcing of income among states, allocation of tax credits and incentives, aggregation and controlling interest real property transfers, and taxability of activities and transactions for sales and use tax purposes. Not Fake News: Congress Shuts Down Pre-payment of 2018 State Income Taxes! Could Maryland v. Wynne Result in NY Refunds?